How many times have you heard that “you will never get a second chance to make a good first impression.” Probably too many to count. Whether you’re walking into a job interview or meeting your significant other’s parents for the first time, it’s hard not to hear that little voice in your head telling you, “This is a make or break moment. Don’t screw it up!” That’s because first impressions matter … a lot. As a small business, one of your first (and best) opportunities to make a good first impression comes the moment a potential customer visits your website. Guess how long it takes them to decide whether you’re worth their time? About two-tenths of a second, according to researchers at the Missouri University of Science and Technology. Yep, you read that right — two-tenths of a second is all the time it takes for a user to form an initial opinion of your brand after perusing your website. And 2.6 seconds later, they’ve had enough time to reinforce that opinion. If that doesn’t put into perspective how critical it is to have a killer website for your business, I don’t know what will. Having just “any old website” simply won’t do when racing the clock to grab users attention. 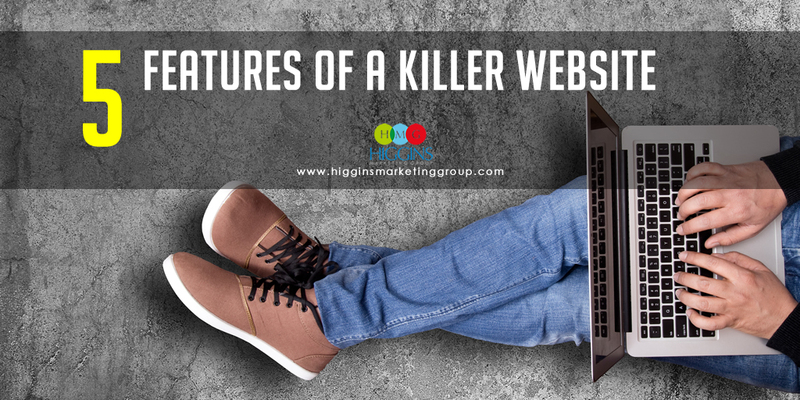 But what does a killer website look like, exactly? Incorporate these five features into your small business website and you’ll be able to see for yourself. You don’t need a degree in web design to know a bad website from a good one. You simply know it when you see it. Strong visuals and a modern, organized design will go a long way toward establishing legitimacy for your business. To make that happen, employ sharp contrasts, memorable messages and high-quality graphics to grab users’ attention, just be careful not to get carried away. Remember that people use the experience they have with your website to predict the experience they will have with you and your business in person. Websites that have too much going on can lead users to think your site, and by extension your business, is chaotic and difficult to deal with. Not only are they unlikely to engage with your website or products, they probably won’t be coming back anytime soon. Usability trumps style when it comes to web design. Keep it simple so that your users can easily navigate your site and find the information they need. 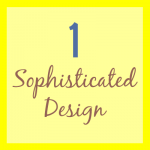 It’s not enough for your website to simply look great. If you don’t have quality content to match, you’re still going to end up falling flat. Search engines love quality original content, so if you want your website to pop up in organic search results, that’s what you need to deliver. Start by identifying two or three keywords/phrases that relate to your business and incorporate them into your website. While sharing information about your products and services is a must, you don’t want to come off too sales-y. Users will respond much better to content that focuses on their needs and how your product or service can help make their lives easier or better rather than how great your company is. Keep in mind that only 25 percent of your users will arrive at your site via the home page. 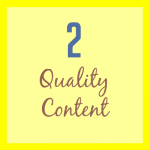 Sprinkling quality content on every page of your website will increase your chances of capturing a potential customer. While you’re working on producing quality content for your website, make sure you include clear calls to action. 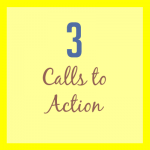 A call to action (CTA) is designed to provoke an immediate response from customers; it tells them what to do next. You should incorporate these prompts at the end of each page of your website. For example, a CTA on your about page could invite the user to contact you for more information. If your homepage teases a product or service, you could include a CTA that encourages users to check out your services page for a more detailed description. Your website can talk about how great your products or services are all day, but if it never asks the users to do anything, they might do just that — nothing. The goal is to take the user from simply visiting your website to contacting you or making a purchase. Any website that doesn’t include clear steps to guide the user in that direction is going to miss out on opportunities for user engagement and, ultimately, sales. Is there anyone not on social media these days? I’m sure there is, but those people are certainly few and far between. Customers expect to be able to interact with a business on social media, so making it easy for them to find you on their favorite social platforms will go a long way to boosting user engagement. If you’re on social media (and you really should be), put social icons linking to your profiles at the top of your website. Integrating social media into your website will help boost your SEO value and help you build up your following, which means more visibility for you and your business. 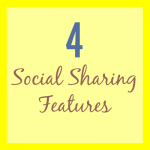 You can take things a step further by including social sharing icons, too. These buttons will allow users to share content from your website on social media with a simple click. They’re not necessary for every page of your website, but if you have a blog or share articles and infographics on the site, those pieces of content should all have social sharing icons. Did you know that roughly 56 percent of consumer traffic to the leading US websites is now from mobile devices! With more and more people using their phones to surf the web, having a website that’s optimized for mobile users is crucial. 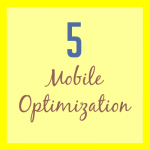 Mobile optimization gives your website the power to morph itself into the best user experience for each device, whether it’s a smartphone, a tablet or your standard desktop computer. A responsive website will be able to sense the screen resolution of whatever device is loading your website and resize the content to fit those dimensions. The layout will adjust, images will scale and everything will look just as it does on the desktop version of your website. That means no annoying scrolling or having to constantly zoom in and out to read the content.